Wow, TGIF! I’m so thrilled it’s Friday and to be home relaxing with hubby after another insane week. And the craziness caught up to me today, I was feeling just tired and lethargic at work after a few not-so-great nights of sleep being on-call. But it’s finally the weekend and I’m looking forward to some fun and relaxing! 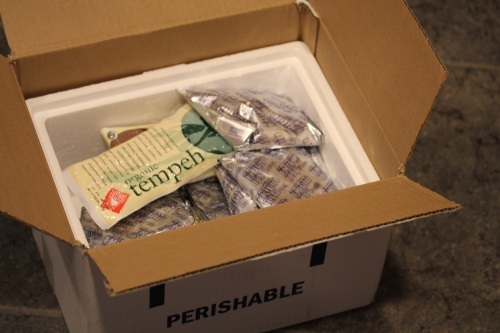 Tempeh’s fermentation process and its retention of the whole bean give it a higher content of protein, dietary fiber, and vitamins. 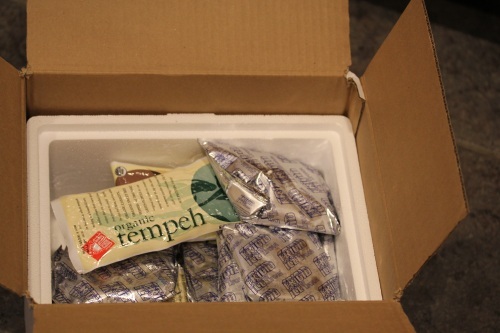 Today I came home to a chilled box from LightLife full of tempeh and it was a pleasant surprise! I have not one, but 5 tempeh varieties to get creative with in the next week and I can’t wait, the recipe ideas are already filling my head. I’m really looking forward to working with the Organic Smokey Tempeh Strips first because I’ve always wanted to try those and get my non-vegan hubby’s opinion on them compared to bacon. 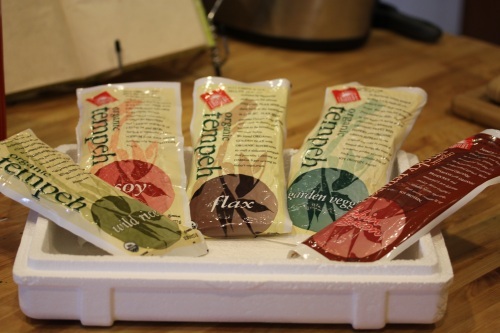 There will be many tempeh recipes in the next week, I can’t wait to get playing in the kitchen with these! Do you like tempeh? Favorite tempeh recipe? Nice score on the tempeh. 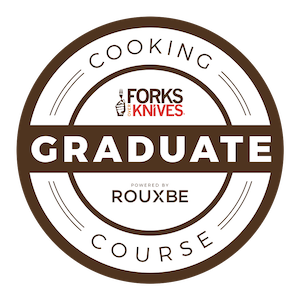 I know for YOU that is AWESOME and great…and I can’t wait to see what you make. Based on your love of it, and your creativity, that’s the perfect bloggie swag for you. Thanks for all the relinks; I had forgotten about some of those. Great refresher! Wow, tempeh chili sounds wonderful, I need to create one with these! I think you’ll like the smokey tempeh strips, they had a rich flavor and different texture compared to traditional tempeh.